According to WHO, the Global status report on road safety 2015, reflecting information from 180 countries, indicates that worldwide the total number of road traffic deaths has plateaued at 1.25 million per year, with the highest road traffic fatality rates in low-income countries. 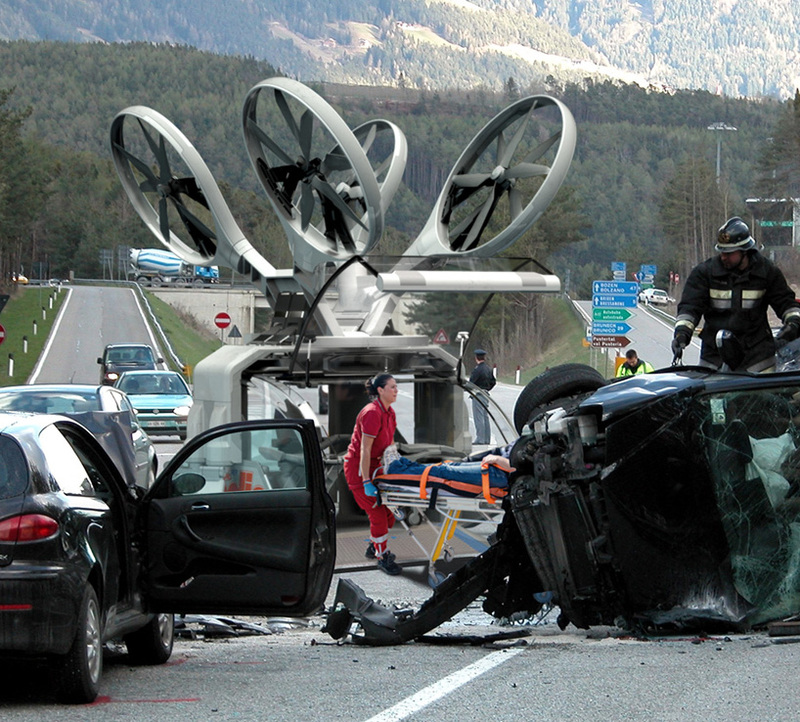 Most of the accident deaths are due to the slow emergency response in the world’s biggest cities. In traffic-jammed urban environments, how can a four-wheeled ambulance be expected to make it anywhere and back quickly? 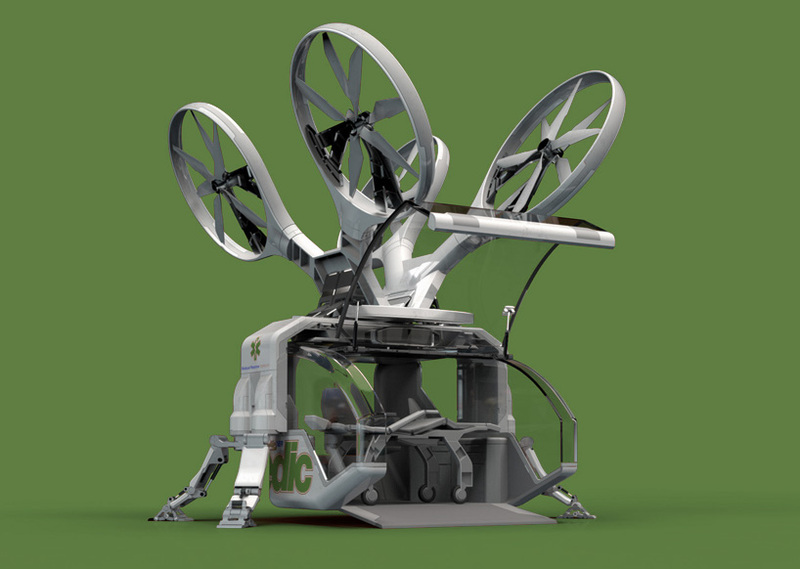 A design firm 'Argo Design' from Austin, Texas, has designed a ‘drone ambulance’ that promises to speed up emergency support in rural as well as urban areas and provide quick treatment for major traffic accidents. 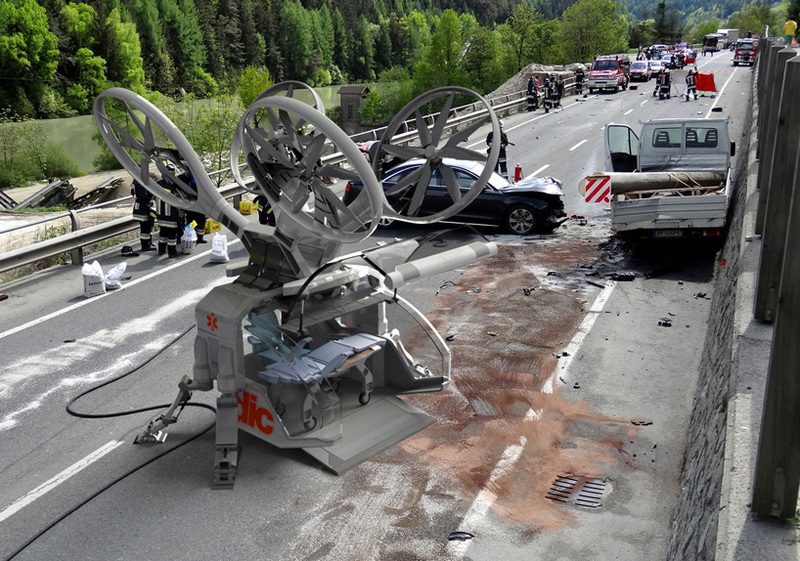 We could save the life of people, injured in traffic where normal ambulance can't reach to the accident spot for an emergency medical treatment. Mark Rolston and Mark Gauger, Founders of ‘Argo Design’, have built a team of the industry’s best thinkers to forge a new path and a new kind of business. The design consultancy, Argo Design responds to the changing design landscape with new ideas – not only in the work itself but also in how they engage the customers. 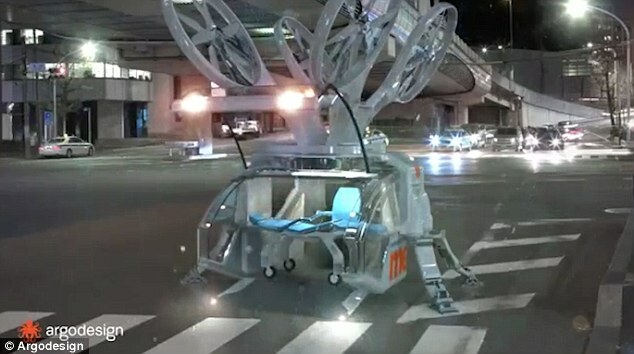 The ‘drone ambulance’ concept carries a ‘pod’ large enough to accommodate a patient and one emergency medical technician and could be flown autonomously or by a pilot, driven by a GPS. Its design allows the craft to land on most surfaces, avoid obstacles and ground traffic, and hasten the emergency support process. It has a footprint similar to a compact card, and could be dispatched to an emergency scene with a single Emergency Medical Technician (EMT) which stabilizes the patient, loads him up, and sends him back to the hospital for further treatment. “Obviously, it’s not a thoroughly vetted concept, but I think it’s extremely intriguing where drones might show up. It would be nice to see them used this way, rather than another military function or more photography,” says Mark Rolston, co-founder of argodesign. 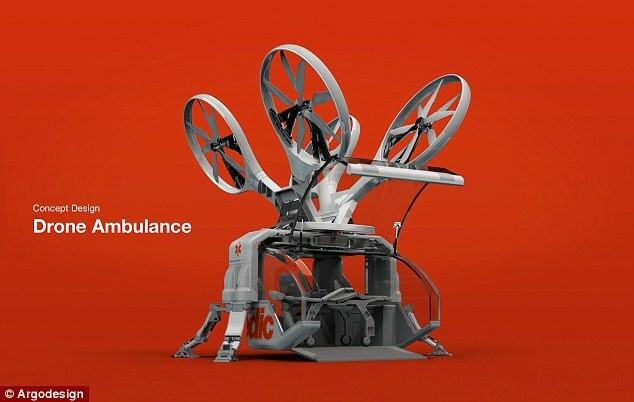 The designers first thought about how they could build a better ambulance, and the rise of autonomous vehicles inspired them to consider a self-driving ambulance. Then they thought of helicopters and drones, and the rest developed from there. 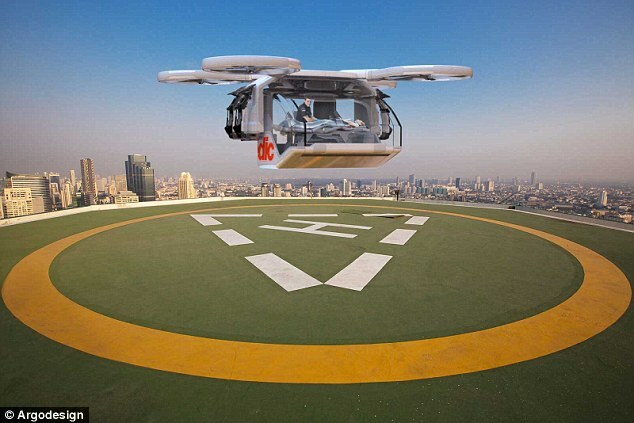 The drone is still only a concept, and the designers are yet to build a model. Mr. Rolston believes the drone would cost around £800,000 ($1 million) – several times more expensive than a wheeled ambulance, reports Dailymail.